Argentina is great for steaks and we have had our fair share while in Buenos Aires. Parillas are on every corner with meats galore to feast upon. We’ve decided to stay in tonight and prepare a lighter dish, eggplant. Eggplant (or aubergine) is wonderful grilled, but not all hostels have one available for you. 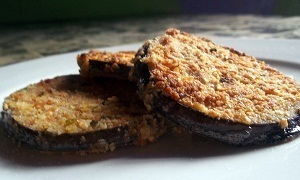 Below is a recipe for a fried eggplant. Due to the Spanish influence throughout Argentina, eggplants can be found in almost any street market. 5. Generously salt the eggplant and let it sit (this will absorb the bitterness of the eggplant and prevent it from soaking up a bunch of oil when we fry it) The salted eggplant needs to sit for a while, that is why this step is first, so the eggplant can salt. 6. 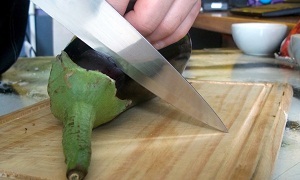 Before starting to cook the eggplant, wipe off salt and the water it has extracted from the eggplant. 1. 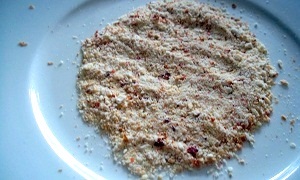 Crush crackers in a small bowl. 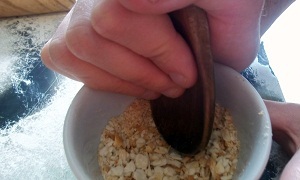 I crush with my hands, and pulverize with a spoon against the side of the bowl. Other ways to crush crackers I’ve found effect are: rolling wine bottle over crackers on a cutting board or clean counter or rolling cup over crackers on a plate. 3. Add any of the optional spices at this point. We added some paprika to our mix for a little extra flavor. 1. 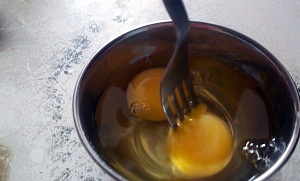 Break 2 eggs into a small dish, stir with a fork. Dish must be big enough to dip the eggplant in. 4. 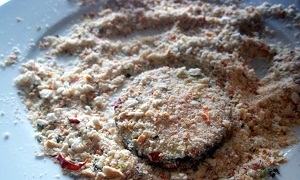 Place eggplant on the plate of coating. 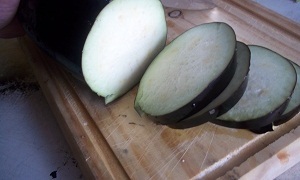 Gently press the coating onto the eggplant so it is properly coated. Repeat steps 2-4 until all slices are coated. Cracker coating should not fall off when you lift the eggplant. 5. Fry for 1-2 minutes per side. If you need to add oil after cooking a couple of slices, make sure and allow the oil to heat up before dropping the next eggplant in. 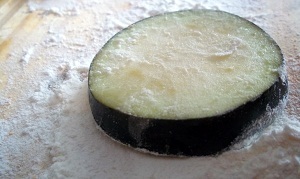 The idea is to used enough oil to coat the eggplant slice, but not too much that you are deep-frying the eggplant. 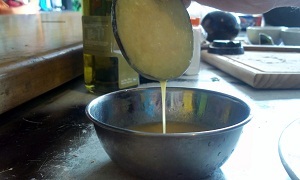 You want the oil to be hot when you place the eggplant in, and don’t crowd the pan. This can cause the eggplant to cook unevenly.